Dark colored mud, typical of fertile clay terrain where humidity is retained during long seasonal periods, found mostly in Mediterranean lands and the west of Europe. Vallejo Brown Splash Mud Weathering Effects contains 40ml Brown Splash Mud. When a vehicle drives through muddy terrain, mud splashes are inevitable. 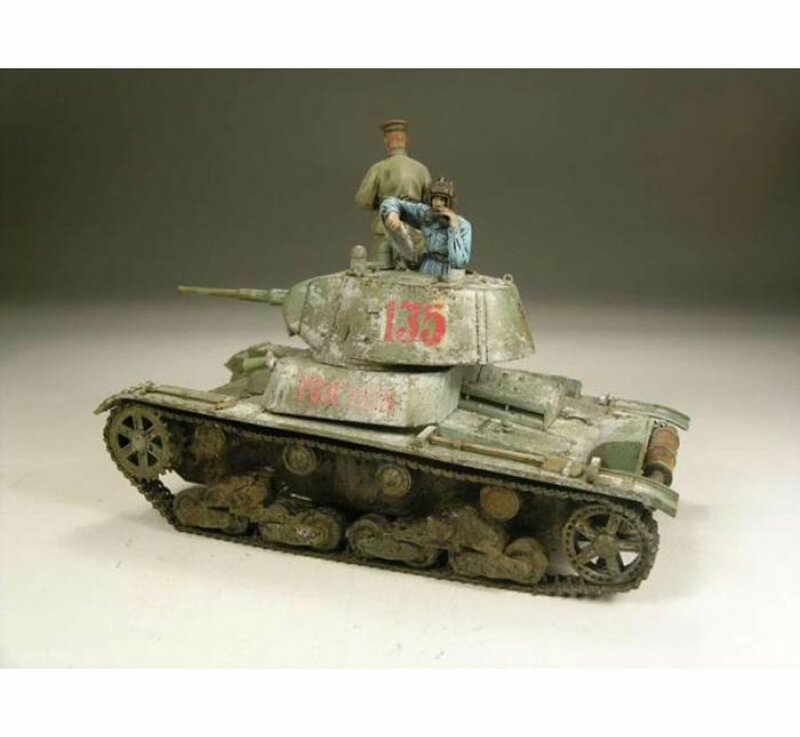 The range of Splash Mud has been formulated so that by simply blowing air through the airbrush over a brush loaded with mud, from a short distance from the model and on the specific area, realistic splash effects will be spattered all over the model. 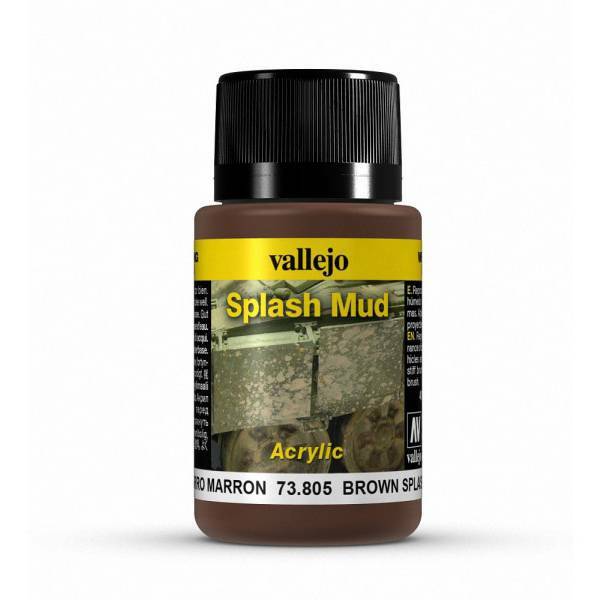 Splash Mud can also be applied using a stiff brush or stick. The range includes six different kinds of mud, manufactured with natural pigments and water-based acrylic resins, which drie to a slightly glossy finish which suggest the humid nature of the products. 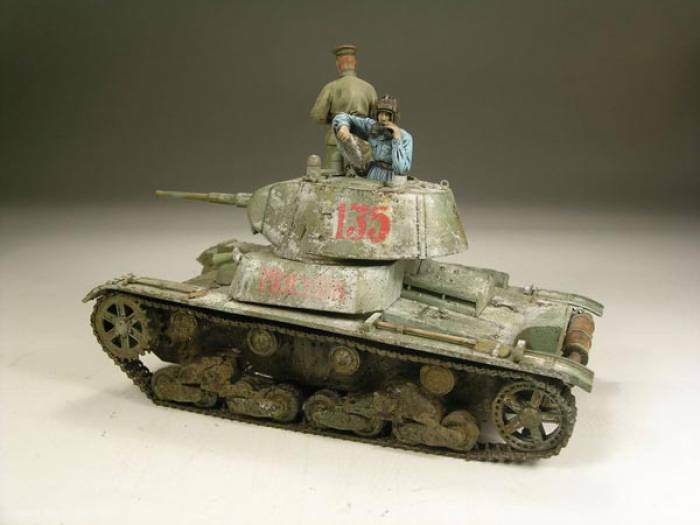 The product can also be splashed on the model with an airbrush by loading a regular brush with Splash Mud and projecting air against the brush towards the model.